Meghan Carroll joined the Advanced Rehabilitation, Inc. team in December of 2016. She recently moved back from the Indianapolis area to be closer to her family. She is a Heritage Hills High School graduate and obtained her Doctorate of Physical Therapy from the University of Findlay. She has 12 years of experience and is certified in dry needling, ASTYM®, and Muscle Energy techniques. She specializes in the evaluation and treatment of orthopedic conditions, sports and work injuries, as well as post-surgical rehabilitation. 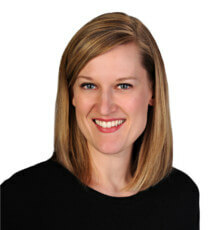 She also has experience with pediatrics and early intervention. Meghan resides in Ferdinand, Indiana with her husband Ryan and their two children. Meghan is treating patients at our Jasper, Indiana clinic.